We would like to congratulate the winners of the Costa Teguise Golf Play Match 2018. 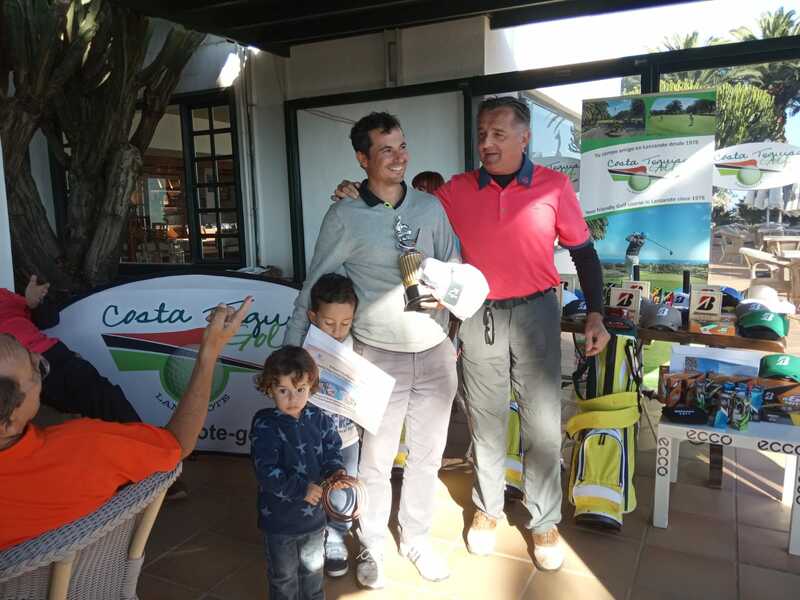 The first place this year was for David García Ortega, awarded with a trophy, a stay at the Hotel Sandos Papagayo Beach and a gift of the Proshop. The second place was for Fernando González Barsh, awarded with a trophy, a dinner at the Meliá Salinas Hotel and a a gift of the Proshop. The third place was for Jorge Armas López, awarded with a trophy and a a gift of the Proshop.